GEORGETOWN: Kehilangan Sharlinie Mohd Nashar, 5, yang dipercayai diculik awal tahun ini menjadi inspirasi sekumpulan pelajar Universiti Teknologi Mara (UiTM) untuk menghasilkan jam pintar. Produk yang menggunakan jam tangan digital dan dilengkapi cip pengenalan frekuensi radio (RFID), berfungsi menyedarkan ibu bapa dengan mengeluarkan bunyi jika anak mereka dilarikan atau terpisah dari jarak tertentu. Ciptaan pelajar tahun akhir jurusan Pengkomputeran Perniagaan UiTM, dipamerkan pada Pertandingan Penyelidikan dan Inovasi Kebangsaan (NRIC) di Universiti Sains Malaysia (USM), yang bermula semalam. Ketua Projek, Nur Azry Zainudin, berkata ibu bapa yang menggunakan produk itu perlu menampal pelekat RFID pada baju atau kasut anak mereka dan menetapkan jarak dikehendaki. Jika anak mereka berada melebihi jarak yang ditetapkan, isyarat akan dihantar kepada jam itu untuk memaklumkan bahawa anak mereka sudah berada jauh, sekali gus menyedarkan ibu bapa. "Jadi, ibu bapa tidak perlu bimbang jika mereka terleka seperti ketika membeli-belah," katanya kepada pemberita selepas perasmian NRIC di USM di sini, semalam. Pertandingan tiga hari itu, mempamerkan kira-kira 145 hasil penyelidikan pelajar ijazah pertama daripada 19 institusi pengajian tinggi awam dan swasta seluruh negara. Pertandingan itu juga membuka peluang kepada pelajar menghasilkan lebih banyak penyelidikan ke arah penghasilan produk berkualiti dan bertaraf antarabangsa untuk tujuan pengkomersialan. Jam pintar itu dihasilkan Nur Azry bersama empat rakannya, Mohd Shafizal Zainal Abidin, Syed Mohd Faizal Syed Kuning, Mohamad Redzmi Mohamad Radzuan dan Izzaldin Misri dengan kos RM102. Nur Azry berkata, buat masa ini jam pintar itu hanya boleh dilekatkan pada lima barang, seperti dompet, baju, kasut dan dilengkapi kod nombor tertentu untuk jarak berbeza sehingga 15 meter. "Contohnya, nombor satu untuk dompet dengan jarak 10 sentimeter. Sekiranya dompet terjatuh, secara automatik jam berbunyi dan tertera nombor satu. Terpulang kepada pengguna untuk menentukan kod nombornya," katanya yang bersedia untuk mengkomersilkan produk itu. About a week ago, I received an e-mail from an officer from KPWKM (Kementerian Pembangunan Wanita, Keluarga & Masyarakat) extending an invitation to participate in a 2-day workshop on National Child Protection Policy organised by the Ministry. Naturally, being part of the team initiating and promoting Nurin Alert, I accepted the invitation believing that I could utilise that platform to continue pushing for the incorporation of Nurin Alert into the National Child Protection Policy. But I forgot to asked on what capacity was I invited. 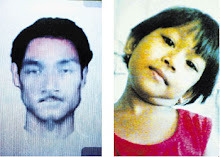 Was it as Nurin's uncle or as representative of the Citizens for Nurin Alert Society (C4NA). So a couple of days later, I called and asked, and in response, the officer told me that I would be there as a close relative to Nurin, the hideous crime victim that no Malaysians can ever forget. Though I would not be there as a team member of C4NA (as I would like to), I had nevertheless contacted my fellow Committee Members for any input that could be forwarded in the workshop that I would be attending. So come yesterday (21st May), taking a two days annual leave just to attend this event, I was at the Flamingo Hotel registering myself for the workshop. To my surprise and beyond my expectation, the workshop was not an ordinary workshop that I am used to. The workshop was a grand "workshop" with 70 over participants with the Minister officiating its commencement! It was like full scale Conference! I was initially tempted to dress casually for the workshop but luckily I put on my office attire instead. Also to be on a safer side I brought my neck-tie along, just in case. And what were the other male participants wearing? They were wearing suits! Oh my my! So I quickly put on the neck-tie and hence avoided myself from having this inferiority complex amongst the Datuks, Professors and experts in the field of child protection, all of whom are the big names in the country. At the registration counter, the reception lady asked for my name and from which organisation I was from. So I told her my name and told her that I'm not representing any particular body but on my personal capacity. So the lady went on searching for my name from the very long list and alas, we found my name. Guess what was stated in the attendance list? It's Encik Jasni Abdul Jalil (Penulis Blog Nurin)! And the "Penulis Blog Nurin" was in bold! Wow, this is a surprise, an extraordinary surprise. I have never thought that a "Penulis Blog" could be invited to an event alongside the 70 over experts representing a fairly comprehensive cross section of the stakeholders in the area of child protection. What a recognition! Frankly, before I accidently became a "Penulis Blog", I had never participated in any big event that had nothing to do either with my work, my involvement in community affairs or my studies. Child protection issues was never my cup of tea until I got stumbled into our frantic search for the then missing Nurin. 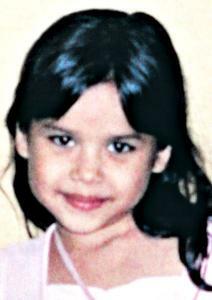 When Nurin was discovered, dead, battered and abused, encouraged and supported by a group of concerned citizens, we started initiating Nurin Alert, a mechanism modelled after the much successful USA's Amber Alert, with the hope that no one else would face the bitter experience endured by us in searching and rescuing Nurin. It was due to this affiliation with Citizens for Nurin Alert that made me started to read more about child protection, started to meet influential personalities in pushing for Nurin Alert, started to give talks on Nurin Alert and of course started to write on the subject matter, though mostly are reproductions of reports and articles written by someone else but having relevence to the Nurin Alert initiative or anything on Nurin's tragedy. Before Nurin, I was just anyone else, fully oblivious on matters that we thought was not really affecting us. We like to leave these daunting tasks to someone else, anyone except us. And by attending the 2-day workshop, I had for the first time witnessed a group of people, people with hearts of gold, pouring energies and total passion in the cause of ensuring a better life of others. They spoke with genuine passion, they act on their sincere believe and they divulge their time and energy for a cause that does not not bring in monetary gains but loads of other people's problems that they have adopted as theirs. Hearing their pleas and their narration of incidences moved my emotion. On several occasions, I was teary eyed at the edge of crying listening to the sad stories they relayed. I am now convinced that this land is indeed blessed with this group of people, a group of people working tirelessly for the good of others. I am now also convinced that the nation is indeed heading towards achieving an environment of safe haven for children judging from the multiple strategies and action plans of the proposed National Child Protection Policy. Whether Nurin Alert will ever materialise as Nurin Alert in name is not that very important, the important thing is that the nation will be prepared to react appropriately, swiftly and effectively so that there will never be another Nurin, another Sharlinie, another Asmawi. The mechanism applied for Sharlinie and Asmawi was good, the mechanism was indeed ala-Nurin Alert. What is required now is the formalisation of the mechanism so that the response to a missing child incident would not vary depending on the personalities handling the matter or whose child went missing. One of the strategy identified in the workshop is the establishment of an early warning system to protect children in need of protection. And towards this aim Standard Operating Procedures for each and every scenarios would be developed. Though my involvement in the workshop was rather minimal, but seeing that efforts are being taken to address all issues affecting children, including those missing, I was indeed reassured that all those attending the workshop was on the same page as we in Nurin Alert are. I am glad I attended the workshop. I hope to get more invitations to attend such events, not only to learn more but to progressively learning how to be a better person in helping others other than thinking about yourself and your family all the time only. Kudos to the participants and the organiser of the workshop. You are truly the gems of the nation, the saviour of the children of the nation. You also have my utmost admiration. KUALA LUMPUR: The police will embark on a roadshow to kindergartens to highlight to preschoolers the do's and don'ts to keep them safe. City police chief Deputy Comm Datuk Muhammad Sabtu Osman said the roadshow, to be launched this year, would include talks and mini exhibitions on crime prevention. “We want to impart the 10 golden rules on safety to these kids to identify danger and to react to situations,” he said after launching a joint anti-crime project themed Towards Safety, Unity, and Harmony 2008 yesterday. The joint project by the police, RakanCop and Smart Reader Worldwide Sdn Bhd is part of the RakanCop for Kids programme to be launched this year. Getting kids involved: Children performing during the launch of the anti-crime project in Kuala Lumpur on Monday. DCP Muhammad Sabtu said the police also hoped to erase any fear the children may have of the police. “Most pre-schoolers are four to six-years-old and that would be the appropriate age group to expose them to the awareness of crime and how to prevent it from happening,” he said. DCP Muhammad Sabtu said the roadshow was important to check the rising crime rate affecting children. He cited as example the brutal murder of seven-year-old Nurin Jazlin Jazimin, whose body was found stuffed in a bag at a staircase in Old Klang Road last September. KUALA LUMPUR 5 Mei - Keluarga Sharlinie Mohd. Nashar, 5, masih tidak berputus asa melakukan pelbagai usaha demi menjejaki kanak-kanak itu yang diculik dalam perjalanan pulang ke rumahnya, kira-kira empat bulan lalu. Bapa mangsa, Mohd. Nashar Mat Hussein, 29, berkata, harapan keluarganya tidak pernah luntur sebaliknya sentiasa berdoa dan berikhtiar agar anak bongsunya itu kembali ke pangkuan keluarga dalam keadaan sama seperti dahulu. "Kami masih meneruskan solat hajat dan bacaan Yasin pada setiap malam Jumaat di rumah dan masjid untuk mendoakan agar Sharlinie selamat pulang. "Sharliena dan Amirah pula masih murung kerana memikirkan tentang adik mereka itu terutama apabila pulang dari sekolah apabila rakan-rakan lain turut bertanyakan soal Sharlinie," katanya ketika dihubungi Utusan Malaysia. Hari ini masuk hari ke-118 kehilangan Sharlinie yang diculik ketika dalam perjalanan pulang selepas bermain bersama kakaknya, Sharliena di padang permainan yang terletak kira-kira 200 meter dari rumahnya di Taman Medan, Petaling Jaya. Sementara itu, Mohd. Nashar berkata, dia sentiasa berhubung dengan pihak polis bagi mengikuti perkembangan siasatan kes penculikan Sharlinie. Menurutnya, dia amat berterima kasih dengan bantuan semua pihak termasuk badan bukan kerajaan (NGO) dan individu yang banyak mengorbankan masa serta tenaga bagi merancakkan usaha mencari anak bongsunya itu. "Sudah sebulan lebih kami tidak menggunakan khidmat pihak luar seperti bomoh untuk membantu mengesan Sharlinie tetapi kami masih berhubung dengan polis," katanya. KES penculikan di negara ini seolah-olah tidak ada penghujungnya. Keadaan ini seakan-akan bertali arus tanpa ada yang cuba menghalang daripada terus berlaku. Golongan kecil seperti kanak-kanak bawah umur adalah mangsa paling diminati untuk diculik dan dilarikan. Kes adik Nurin Jazlin, adik Sharlinie dan yang terbaru adik Asmawi diculik tanpa ada sesiapa yang menyedari kehilangan si kecil ini. Di manakah mereka sekarang? Terbaru kes seorang eksekutif, Woo Yeen Yeen, 24, yang diculik sejurus keluar dari pintu pagar rumah tanpa sesiapa menyedarinya. Walaupun hanya diculik tidak melebihi masa 24 jam, tetapi hanya mangsa merasai trauma penculikan. Apabila diimbas kembali, kes yang berlaku terhadap Allahyarham adik Nurin Jazlin sangat menyayat hati dan menggemparkan seluruh negara. Kekejaman yang dilakukan terhadap si kecil ini seolah-olah si pemangsa sememangnya menyimpan dendam teramat sangat. Siapakah manusia yang berhati kejam itu? Tiada sesiapa mampu menjawab segala persoalan itu. Kini, bukan seorang, malah dua orang si kecil yang masih tidak mengerti erti kehidupan menjadi mangsa. Ia adalah kes yang disebarkan, tetapi adakah kita menyedari masih banyak kes seperti ini berlaku di luar sana yang tidak dilaporkan. Keadaan ini dilihat seperti kejadian biasa tetapi adakah kita memahami perasaan ahli keluarga mangsa. Kehilangan seseorang yang dilahirkan, dijaga, ditatang bagai minyak yang penuh, yang sentiasa dalam perhatian tetapi tiba-tiba lenyap daripada pandangan. Adakah kita berasa dan mengerti perasaan terbuku di hati keluarga mereka? Sememangnya semua ini tidak dirancang dan kita tidak mengetahui apa yang akan terjadi kelak. Tetapi dengan cara berhati-hati dan tidak alpa mampu memberi satu sinar baru kepada kita semua sebagai insan yang inginkan kebebasan tanpa sebarang ancaman. Kesedaran untuk memberi bantuan dan bekerjasama dalam kalangan masyarakat kita dan ia menjadi satu perkara amat penting dalam membanteras kes penculikan ini, di samping kita sebagai masyarakat yang bersatu hati demi keamanan negara tercinta. Akhir bulan lalu pihak polis mengumumkan bahawa mereka akan menguatkuasakan Akta Kanak-Kanak 2001 terhadap mana-mana ibu bapa yang didapati cuai hingga menyebabkan anak-anak mereka hilang atau diculik. Mengikut peruntukan dalam akta itu, ibu bapa yang melakukan perbuatan aniaya, abai, cuai, buang atau mendedahkan kanak-kanak kepada kemungkinan kecederaan fizikal, mental dan emosi boleh didakwa di mahkamah. Ketua Polis Selangor, Datuk Khalid Abu Bakar memberitahu, jika sabit kesalahan, mereka yang terlibat boleh dihukum denda maksimum RM20,000 atau penjara maksimum 10 tahun atau kedua-duanya sekali. Beliau menyifatkan tindakan itu wajar ekoran kes penculikan dan kehilangan kanak-kanak didapati semakin meningkat sejak kebelakangan ini. POLIS seperti mahu lepas tangan apabila mereka mengumumkan pelaksanaan Akta Kanak-Kanak 2001. Semua beban mengenai keselamatan kanak-kanak hendak diserahkan kepada masyarakat secara total. Kejadian seperti yang berlaku kepada Sharlinie merupakan kejadian yang langsung tidak dikehendaki oleh ibu bapa mereka. Tiada ibu bapa yang waras mahu membenarkan anak mereka diculik dan diperlakukan dengan sewenangnya oleh penjenayah. Pihak polis memberikan alasan kadar kes penculikan yang semakin tinggi sebagai faktor untuk mereka melaksanakan akta ini. Apakah dengan menghukum ibu bapa maka peratusan ini akan berkurangan sedangkan masih ramai penjenayah di luar sana yang sudah cukup bersedia dengan pelbagai taktik untuk melakukan kegiatan mereka? Penjenayah mampu melakukan kegiatan apabila mereka melihat peluang yang ada dan menjangkakan bahawa kegiatan yang mereka lakukan itu tidak membawa banyak masalah kepada mereka. Apabila kita berbicara tentang kejadian jenayah, kita tidak mampu lari daripada membincangkan tentang kelonggaran sistem keselamatan kawasan persekitaran yang turut disumbangkan oleh kelemahan pihak polis dalam menjalankan tugas. Kes-kes penculikan yang tidak dapat diselesaikan oleh pihak polis juga menjadi faktor kepada penjenayah untuk melakukan perkara yang sama berulang kali. Penjenayah beranggapan bahawa taktik mereka sudah berjaya dan kegiatan mereka seperti sukar dijejak oleh pihak polis. Selain itu, pelaksanaan akta ini turut memberi gambaran kepada masyarakat bahawa kawasan kejiranan di Malaysia sudah lagi tidak selamat untuk kanak-kanak membesar. Seperti yang berlaku pada Sharlinie, dia diculik di lokasi yang jaraknya 200 meter dari tempat kediamannya. Adakah sekarang anak-anak kita sudah berada di zon bahaya apabila keluar 200 meter dari kawasan rumah? Apakah punca kawasan kejiranan sudah tidak lagi selamat? Kawasan kejiranan yang selamat selalunya dapat diwujudkan dengan kehadiran pihak berkuasa secara kerap ataupun pihak berkuasa mampu respons dengan cepat kepada segala aduan yang disampaikan penduduk. Pihak polis seharusnya memastikan bahawa penjenayah mempunyai ruang yang minimum untuk mereka bergerak sejurus mereka melakukan aktiviti jenayah. Sekiranya kita merujuk kepada Akta Kanak-Kanak 2001 yang membolehkan ibu bapa dihukum maksimum RM20,000 atau penjara maksimum 20 tahun atau kedua-duanya sekali, pelbagai masalah tambahan akan timbul. Sekiranya ibu atau bapa sudah dipenjara atau dikenakan denda maka keluarga tersebut akan ditimpa dengan bebanan yang baru. Bagaimana pula nasib ahli keluarga yang masih perlu ditanggung? Langkah polis menempatkan balai polis di kawasan kejiranan sememangnya satu langkah bijak namun melaksanakan Akta Kanak-Kanak 2001 yang menjurus kepada menghukum ibu bapa dan bukan kepada penjenayah yang melakukannya adalah suatu tindakan yang tidak wajar.